Sony has announced its new MDR-1000X headphones, which the company is claiming offers the most responsive noise-cancellation on the market. 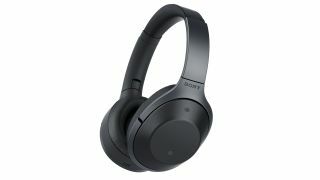 Interestingly, Sony also claims the headphones feature a 'Sense Engine' which allows the headphones to customize their noise-cancelling experience based on the shape of the listener's head and their wearing style. The system is apparently accurate enough to take into account differences created by hairstyles and the use of glasses. Another interesting development comes in the form of the headphones' 'Quick Attention' mode which allows users to turn off noise-cancelling and allow the external microphones to pick up outside noise by cupping a hand to the outside of the earcup. This means that you can quickly hold your hand up to your ear to listen to a train announcement or to quickly talk with a work colleague. In terms of sound quality, the headphones are limited to supporting hi-res audio only in wired mode, but will upscale music transmitted wirelessly to near hi-res standards. The MDR-1000X wireless headphones will be available from October for $399.99 (£330 / around AU$531). Check out the competition with our guide to the best noise-cancelling headphones.